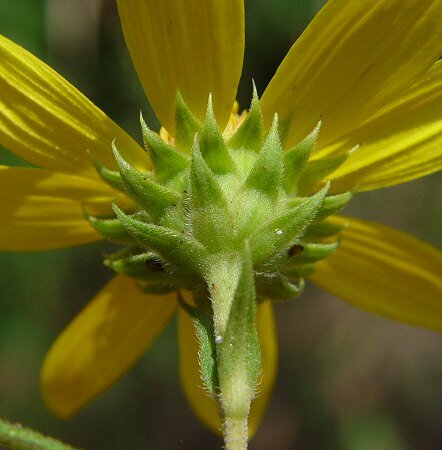 Other information - This attractive species can be found scattered throughout Alabama. 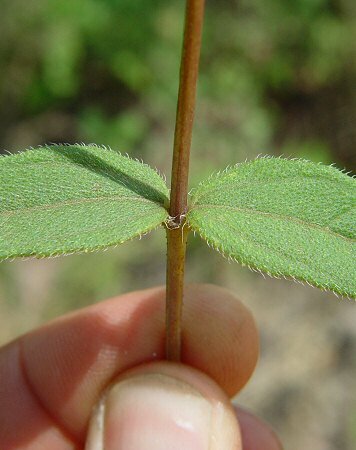 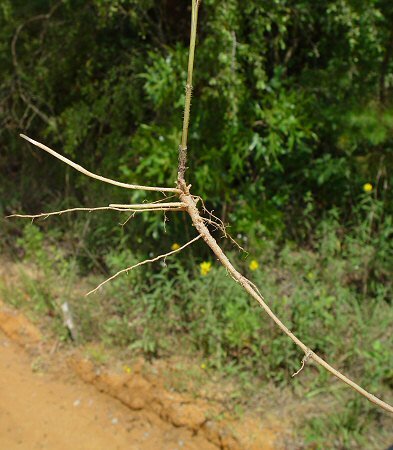 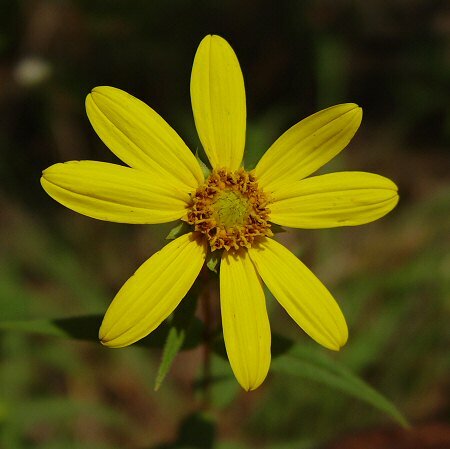 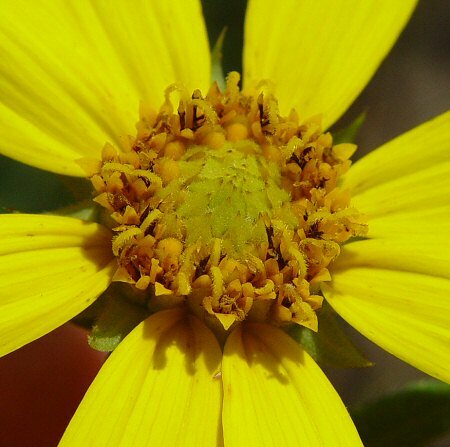 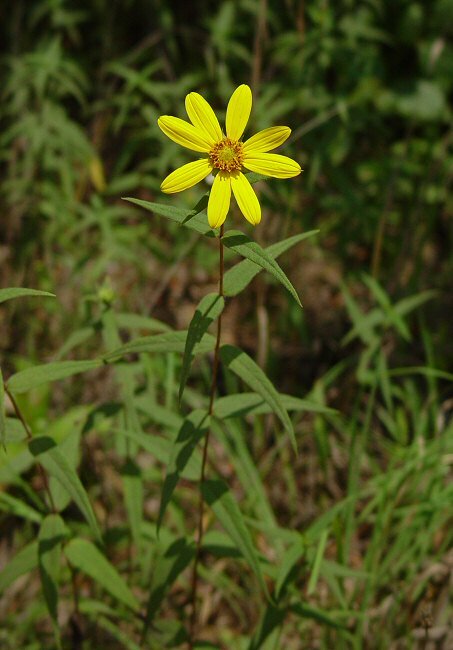 The plant can be identified by its long rhizomes, thin stems (which are typically somewhat glaucous and brownish-purple), spreading, sessile leaves, and typically single, terminal flower head. 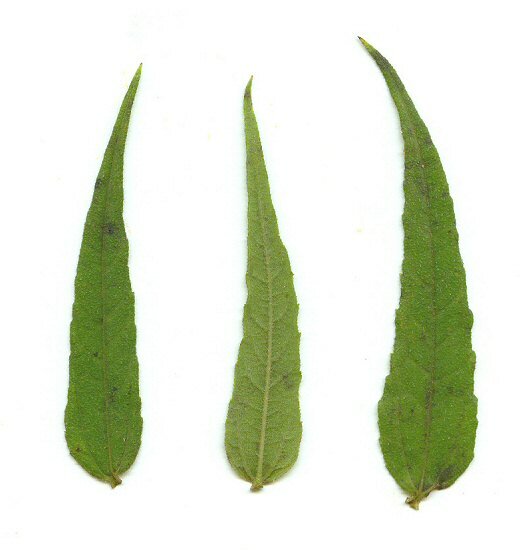 The leaves are harshly scabrous and have rounded bases. 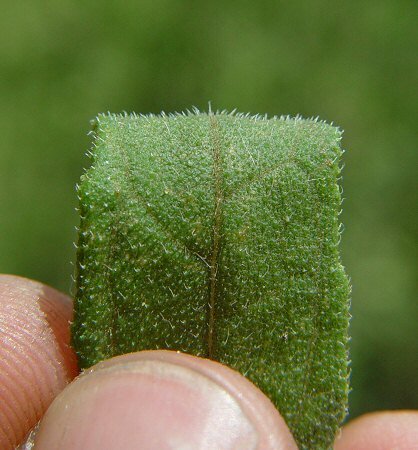 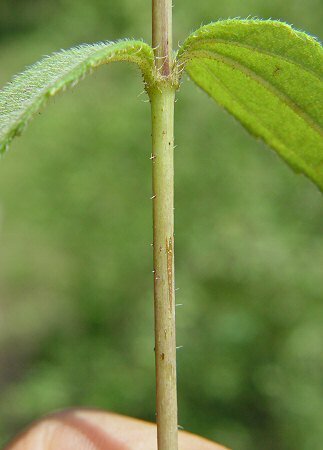 The stems are typically glabrous but have some hairs near the apex of the internodes. 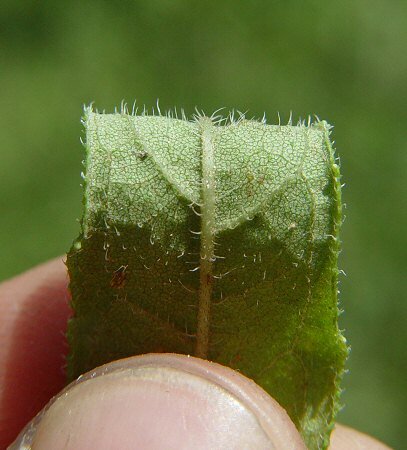 The species epithet divaricatus derives from the Latin "divaric(a)" meaning "spread apart" referring to the leaves.